Quality and dependability are the hallmarks of our flashlights. We insist upon the same quality and dependability for every lamp and accessory. Each Mag-Lite<sup></sup> and Mini Maglite<sup></sup> lamp is specifically designed to work in conjunction with the reflector to deliver optimum performance. Simple and sophisticated at the same time, this Himalayan Salt Crystal Basket Lamp will rev up your spirit with its stunning beauty and fiery glow. Bring divine harmony to any room with this beautiful salt crystal lamp. Its fiery glow produces the image of an ignited fire place and its orange hues infuse a natural calm bringing the mind and body to a gradual sense of tranquility and well being. Item#1301B Comes with 25W bulb, dimmer switch and 6-1/2 ft. electric cord UL listed (complete lamp) Weight approximately: 9 to 10 lbs. Dimensions approximately 8-inch x 8-inch x 6.75-inch No two are alike; due to the nature of rock colour may vary. Disclaimer the statements enclosed herein has not been evaluated by the Food and Drug Administration. The products mentioned on this site are not intended to diagnose, treat, cure, or prevent any disease. Information and statements made are for education purposes and are not intended to replace the advice of your family doctor. Let the divinity of nature inspire relaxation in your very own home with this hand-sculpt Himalayan Natural Salt Crystal Lamp. Its therapeutic glow of orange hues infuses a natural calm bringing the mind and body to a gradual sense of tranquility and well-being. This lamp is scientifically proven to work like an air purifier and is often called Nature's Air Purifier. When the lamp is lit, it emits negative ions that fight against positively charged particles that cause us to feel stuffy and sluggish. Allergens Smoke Dander Pollens and other air pollutants. People with asthma often find it helpful in reducing their symptoms and many medical practitioners recommend using these lamps to help relieve depression and fatigue. It comes with a 15W bulb, on/off switch and 6.5 ft. electric cord UL listed (complete lamp) weight approximately: 5-7 lbs. Dimensions approximately: 5-inch x 5-inch x 8.5-inch Disclaimer: the statements enclosed herein have not been evaluated by the Food and Drug Administration. The products mentioned on this site are not intended to diagnose, treat, cure or prevent any disease. Information and statements made are for education purposes and are not intended to replace the advice of your family doctor. C or D 4-Cell Replacement Lamp Quality and dependability are the hallmarks of our flashlights. We insist upon the same quality and dependability for every lamp and accessory. Each Mag-Lite<sup></sup> and Mini Maglite<sup></sup> lamp is specifically designed to work in conjunction with the reflector to deliver optimum performance. 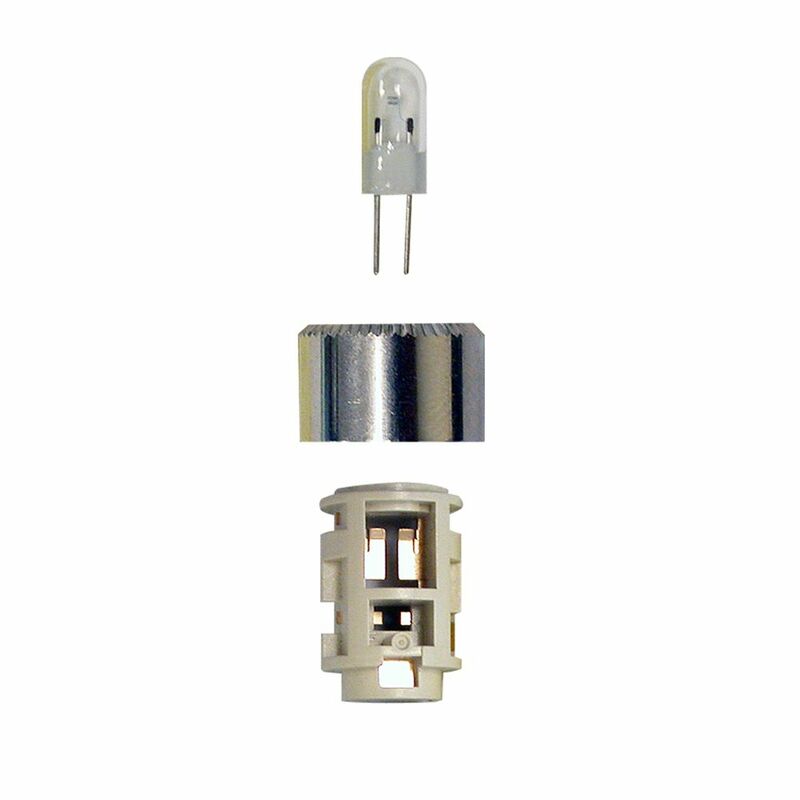 C or D 4-Cell Replacement Lamp is rated 5.0 out of 5 by 1.